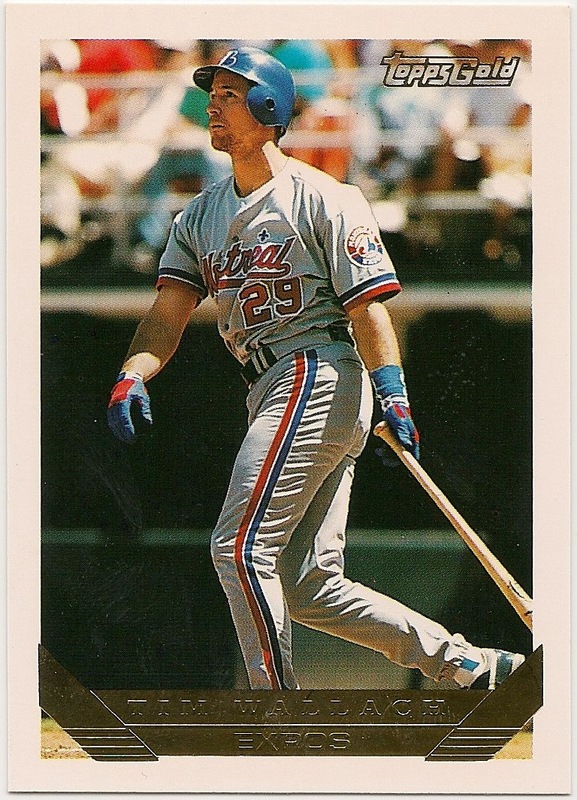 Card Review: 7.0 I like the '93 Topps design, I'm just not wild about these "gold" variations. 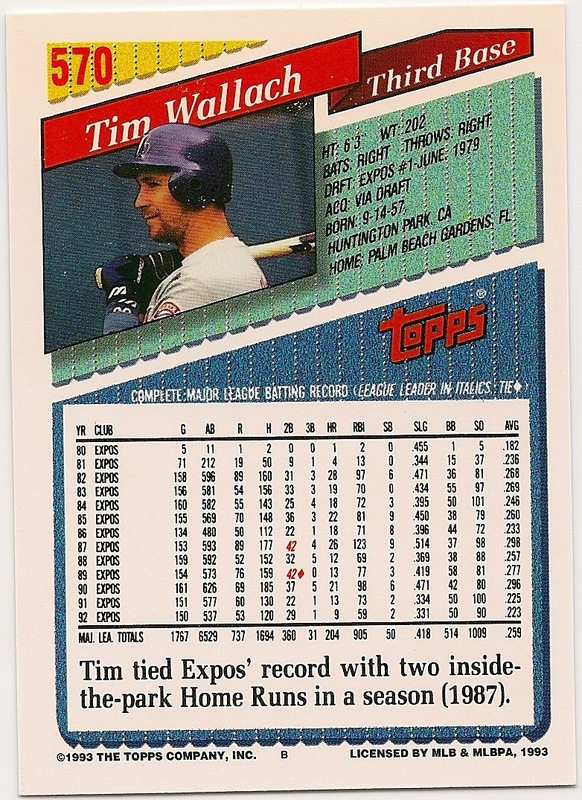 Depending on where you draw the line, '91, '92, '93, or '94 was the last classic Topps set. I consider '92 to be the last classic set, though I think there's a strong case to be made for '91 as well. '93 was the first to feature full color backs, and slick backs. ''94 took the slick backs even a step farther and '95 completely jumped the shark. 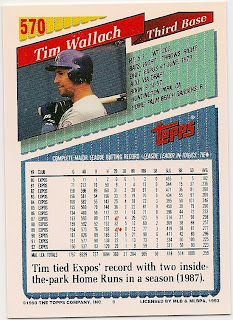 *This was the last Topps card to feature Tim Wallach as an Expo.